Module #158 is designed to assist non-English Language speaking seafarers to improve their narrative report- writing skills using common Maritime English words and phrases. In the module, each illustrated report is preceded by a synopsis of the material facts being reported. The finer points of writing are highlighted in the reports. Expanded details of these points can be seen by rolling the mouse over or by clicking the highlighted points. This module does not dictate on what is, and what is not, acceptable English and serves as an aid to effective reporting. Được sửa bởi Bố già ngày Wed Jan 18, 2017 10:16 am; sửa lần 2. The basic fire-fighting module will provide you with the know-how to minimize the risk of fires, maintain a state of readiness to respond to emergency situations involving fires and how to fight and extinguish fires. Được sửa bởi Bố già ngày Wed Jan 18, 2017 10:17 am; sửa lần 2. The advanced fire-fighting module will provide you with the know-how of fire-fighting operations onboard ships and the organising and training of fire-fighting teams. The module will also provide you with a good understanding of the inspection and service of fire detection systems, extinguishing systems and equipment, and the investigation and compiling of reports on incidents involving fire. Can you fix CBT # 146, it's an "Error downloading file". You are great, Man. Thanks for sharing! It is of the utmost importance that the fuel and lubricating oil is treated correctly, to keep the best possible quality. 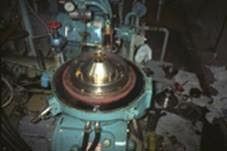 Poor oil quality can damage essential components in both main and auxiliary machinery. 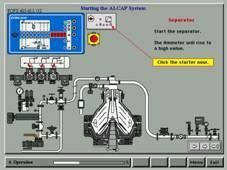 Seagull has together with Alfa Laval developed a CBT called the ALCAP Training Programme to increase the awareness as to how to treat fuel and lubrication oil. Được sửa bởi Bố già ngày Wed Jan 18, 2017 10:17 am; sửa lần 1. Được sửa bởi Bố già ngày Wed Jan 18, 2017 10:18 am; sửa lần 1. Được sửa bởi Bố già ngày Wed Jan 18, 2017 10:18 am; sửa lần 2. This module provides training at a familiarization level for junior officers and other personnel onboard oil tankers who have immediate responsibility for the loading, discharging and care in transit or handling of cargo. This CBT comprises a specialised training programme appropriate to their duties. 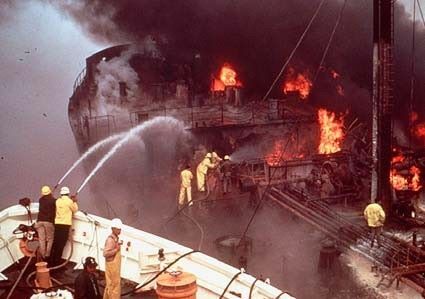 -	STCW 95 Regulation V/1, paragraph 1.2 and section A-V/1 1-7. This module provides training at an advanced level for officers and other personnel onboard liquefied gas tankers who have the immediate responsibility for the loading, discharging and care in transit or handling of cargo. This CBT comprises a specialised training programme appropriate to their duties. -	STCW 95 Regulation V/1, paragraph 2.2 and section A-V/1 22 - 34. This module provides training at an advanced level for officers and other personnel onboard oil tankers who have immediate responsibility for the loading, discharging and care in transit or handling of cargo. This CBT comprises a specialised training programme appropriate to their duties. -	STCW 95 Regulation V/1, paragraph 2.2 and section A-V/1 8 –14. This module provides training at an advanced level for officers and other personnel onboard chemical tankers who have immediate responsibility for the loading, discharging and care in transit or handling of cargo. This CBT comprises a specialised training programme appropriate to their duties. -	STCW 95 Regulation V/1, paragraph 2.2 and section A-V/I 15-21. Module #173 provides a detailed introduction to Computers using concise tracing the history of computers, through to descriptions of components, peripheral devices, use of compression technologies and dangers of malware to computers. There are animations and interactive glossaries in each chapter. This module will be of great benefit to all ship staff who need to get a working knowledge of computers. It is designed for learners with little or no knowledge of computers and gives them the possibility to learn about Computers at their own pace. Module #174 provides a detailed introduction to MS Word 2003 using concise illustrated instructions, animations and interactive glossaries in each chapter. In addition there is an introduction to computers, networks, and toolbars and tasks related to MS Office 2003. This module will be of great benefit to all ship staff who need to use basic computer functions in the course of their daily work. It is designed for learners with little or no knowledge of computers and gives them the possibility to learn basic computer skills on board the vessel at their own pace. Module #175 provides a detailed introduction to MS Excel 2003 using concise illustrated instructions, animations and interactive glossaries in each chapter. In addition there is an introduction to computers, networks, and toolbars and tasks related to MS Office 2003. This module will be of great benefit to all ship staff who need to use basic computer functions in the course of their daily work. It is designed for learners with little or no knowledge of computers and gives them the possibility to learn basic computer skills on board the vessel at their own pace. 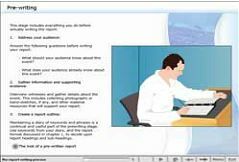 Module #176 provides a detailed introduction to MS PowerPoint, and Common Utilities using concise illustrated instructions, animations and interactive glossaries in each chapter. In addition there is an introduction to Publishing, Drawing and Design. This module will be of great benefit to all ship staff who need to use basic computer functions in the course of their daily work. It is designed for learners with little or no knowledge of computers and gives them the possibility to learn basic computer skills on board the vessel at their own pace. Được sửa bởi Bố già ngày Wed Jan 18, 2017 10:20 am; sửa lần 1. 2005 3rd edition of ISO 8217 as well as changes in Annex I and VI of MARPOL 73/78. ISO 8217 3rd Edition 2005 – Petroleum products – Fuels (class F)- Specifications of marine fuels. 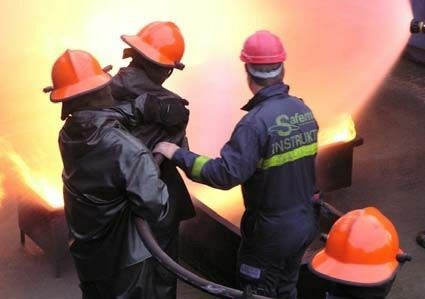 This CBT module will familiarize you with where H2S can be found onboard a vessel and explore the properties and specific health and safety risks H2S poses. The CBT module will also introduce the methods used to measure H2S levels and identify safe and unsafe levels of exposure. You will learn how to recognize symptoms of harmful exposure, protect yourself while you work and take the correct action in the event of a first aid emergency. Được sửa bởi Bố già ngày Wed Jan 18, 2017 10:21 am; sửa lần 1. This CBT module is intended to introduce MLC 2006 to all Shipboard Personnel and also Shipping Company office staff. As the Convention will impact on everyone within the wider shipping world it is felt essential that they should at least have an overview of the Convention. It is intended that this will be the first CBT module of what will be a package of modules and management tools, which together, will allow Shipping Companies, Ship Managers, Ship Operators and Senior Officers onboard ship to effectively achieve and manage compliance with the Convention. - Why should We Learn about Conflicts? - What is a Conflict? - How to Handle Conflicts Constructively? - Why is it Necessary to Learn about Culture? - How can we describe the Content of Culture? - Why Do We Need to Discuss Active Listening? - How to Listen Actively? Được sửa bởi Bố già ngày Wed Jan 18, 2017 10:22 am; sửa lần 1.